The Iskweu project at the Native Women’s Shelter of Montreal will be offering kits for Indigenous people new to the city, to provide information about resources and help prevent homelessness. Moving to a big city can be a difficult transition for many Indigenous people, which is why one organization in Montreal is hoping to make it a little bit easier. 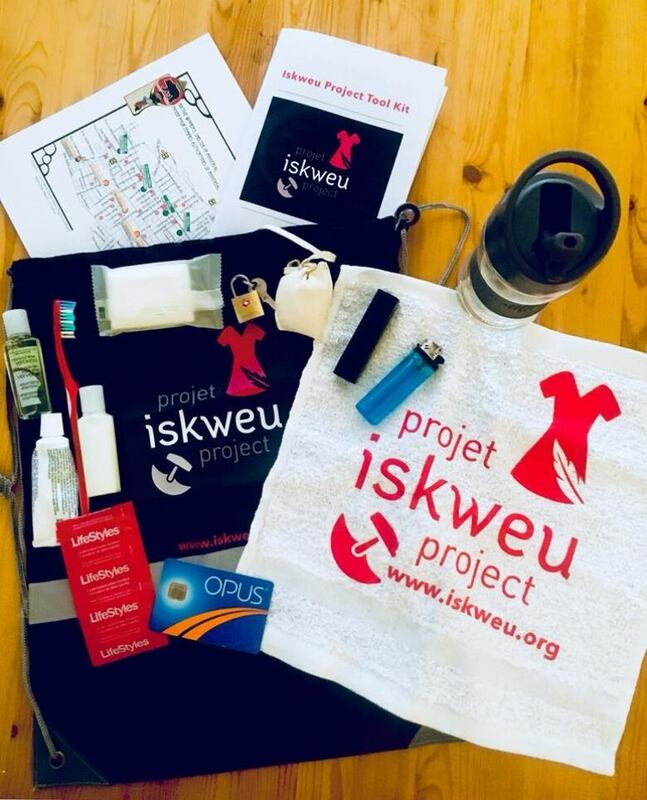 Throughout the summer, the Iskweu project at the Native Women's Shelter of Montreal will be providing welcome kits for Indigenous people arriving at the city's bus terminal. "When you get to the bus station there's a lot of resources there, especially for youth, but because they're not culturally sensitive to Indigenous people," said Jessica Quijano, co-ordinator of the project that aims to help families of missing and murdered Indigenous women and girls. "They're not going to necessarily go to those resources as opposed to a non-Indigenous person." The kits include a booklet of information about Indigenous organizations and resources, a map of the city, water bottle, public transit pass, medicine pouch, calling card and a lock. "Even those little things can make a big difference," said Quijano. The goal is to have the kits distributed through outreach workers and eventually at airports or with airlines to help break down barriers that many Indigenous people face when they arrive in a new city, often far away from their home communities. "We want to give people options," said Quijano. "What we're trying to do is prevent people from becoming homeless, being on the streets, and just having the resources to go to so that they're aware of what's available." 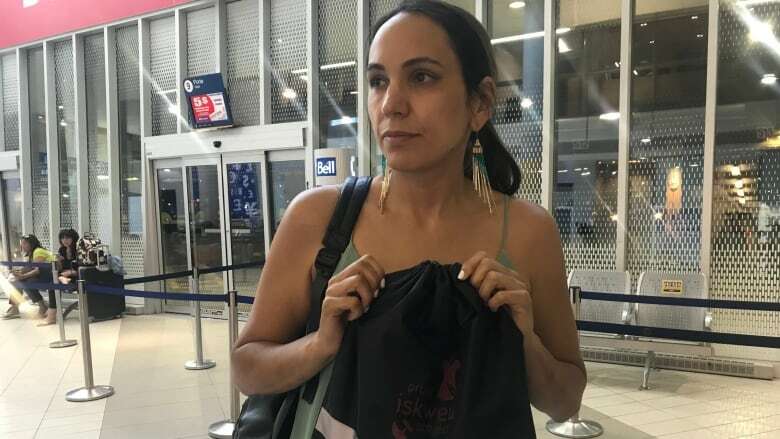 Whether someone is arriving as a student, for work or just wanting to explore Montreal, Quijano said many Indigenous people are unaware of the resources available to them. That was the case for Corey Thomas, a Mi'kmaw student from Gesgapegiag, Que. "Moving to Montreal was a pretty daunting and honestly, terrifying transition in my life," said Thomas. "I was about to move to a city where the closest familiar face was 10 hours away. Whether you feel like you would be prepared for it or not, there's always going to be a culture shock making such a huge transition." He came to Montreal to study at Concordia University and arrived without a place to stay. "When moving, I wasn't aware of any services for Indigenous peoples," said Thomas. "I never really knew that those services would be an option to assume." 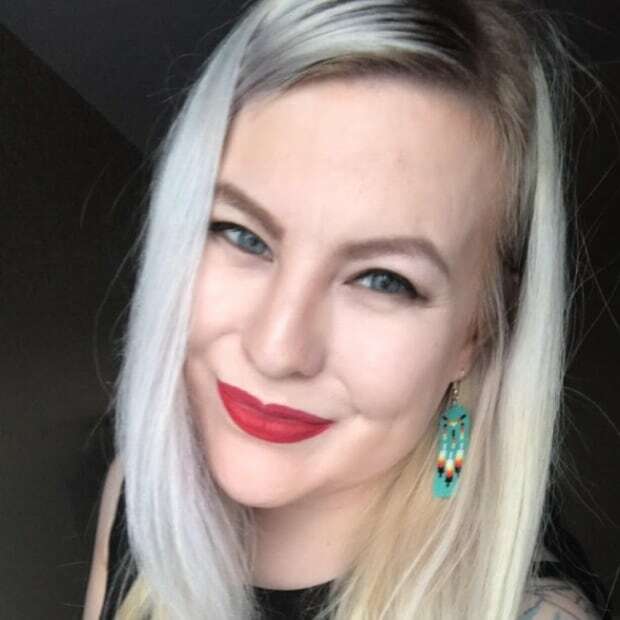 Like Thomas, 22-year-old Lucina Gordon also wasn't aware of many Indigenous organizations when she first moved to Montreal at 17 for post-secondary education. "It was hard not having any family members around to help me transition from living in a small community," she said. Places like Concordia's Aboriginal Student Resource Centre have become integral to overcoming obstacles like the feeling of isolation as an Inuk in the city. "The culture shock and homesickness continues to be there even though I have been living in Montreal for almost five years," said Gordon. "Although I come from a physically isolated community, I have never felt isolated from the community as people in the community look out for each other."